There are so many options out there and omg, are they pretty! From wooden to ceramic to plastic, the choices are endless. Some of them are cheap but some can be very pricey. 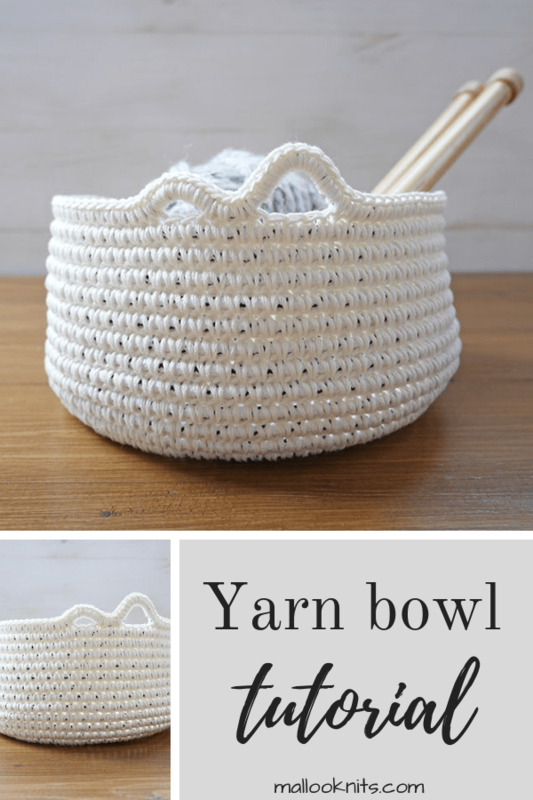 Today, I am going to show you an easy way to make your own yarn bowl with materials you probably already have in your house. Even if you don’t have them, it only takes a trip to your local hardware store. The rope I used is about 1,2 cm in circumference and I had some soft mercerized cotton from another project. It is not really important what yarn and rope you are going to use, as long as you like the outcome. You could use acrylic or wool. This project can be considered a great stash buster. The only thing I would recommend not to use is thinner cotton rope on rope. I have tried and it really hurts your hands trying to crochet such a strong material on another strong material. Don’t try this at home, people. 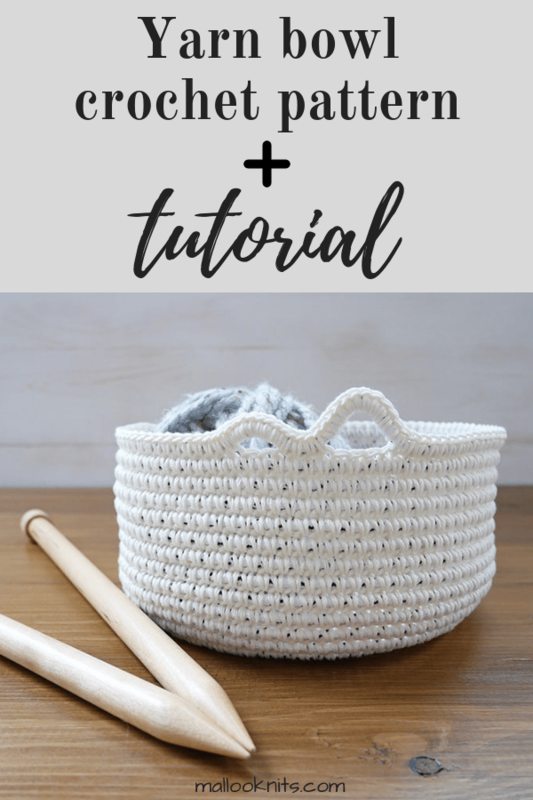 I am sharing below the exact instructions I used to make my yarn bowl, but this is mostly a tutorial. 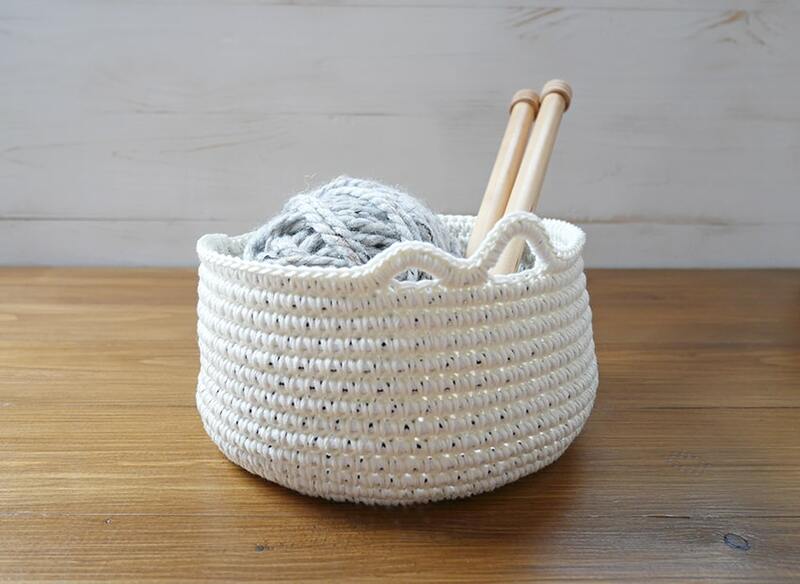 Feel free to adjust the measurements to your liking and make your own unique, customizable, yarn bowl. Dimensions: 6.5 inches (16 cm) in diameter and 3.5 inches (9 cm) in height. The pattern is worked in a spiral. Do not join the rounds. You could use the technique I describe in this blog post on how to make a perfect crochet circle. Although, I have found that the rope evens out the result. It’s up to you. 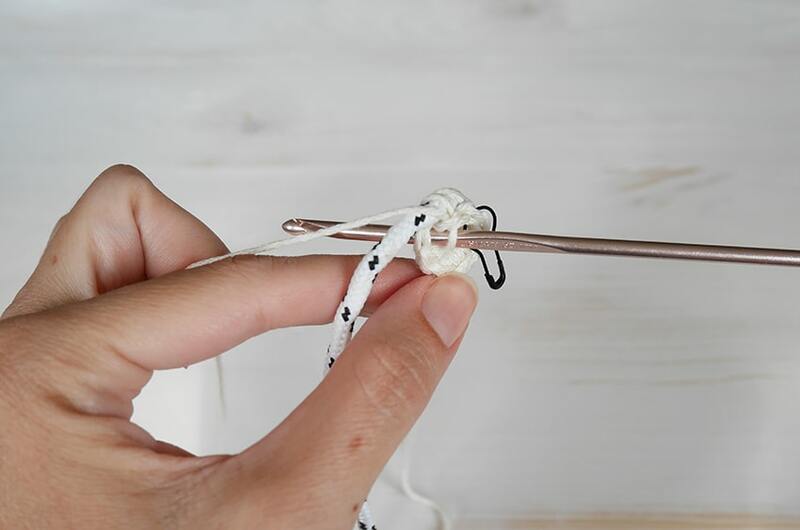 Start by making a slip knot on your crochet hook. 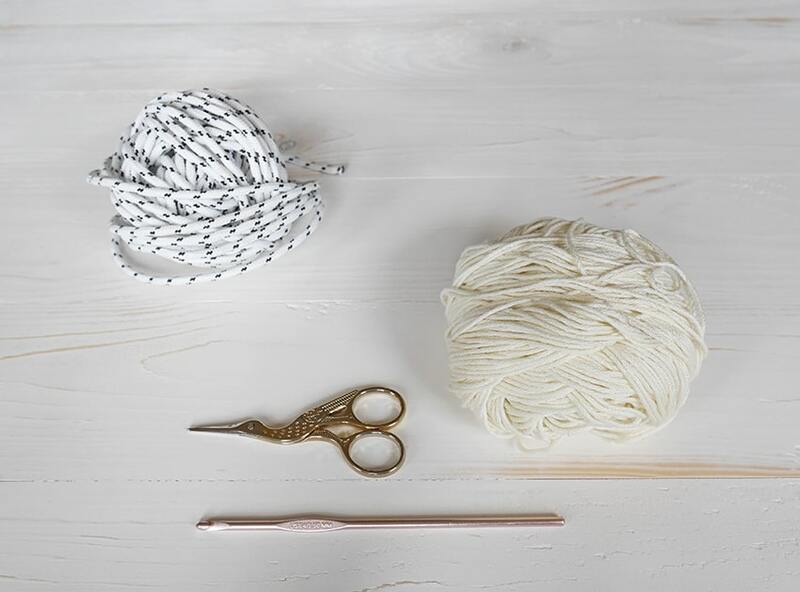 Hold the rope and the working yarn with your left hand and place the working yarn under the rope. Yarn over and pull through. 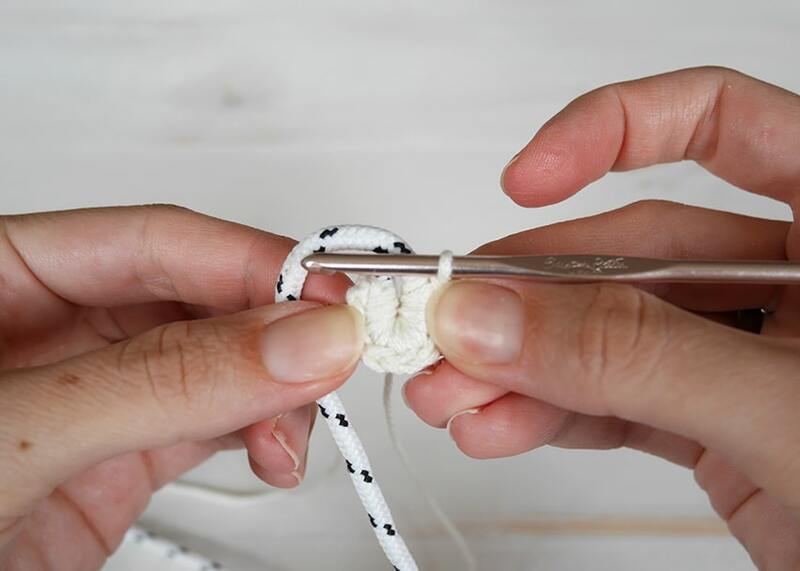 This is the way to attach the yarn on the rope. Go under the rope, yarn over and pull the yarn in front of the rope. Yarn over and pull through. This is your first sc. Remember to grab the short end of the yarn between the rope and inside the single crochet stitches. This will come in handy in the end of the first round. Make 8 sc. Push with your fingers to form a circle. This is where the short end of yarn is useful. If you pull it, it helps you bring the ends close together. 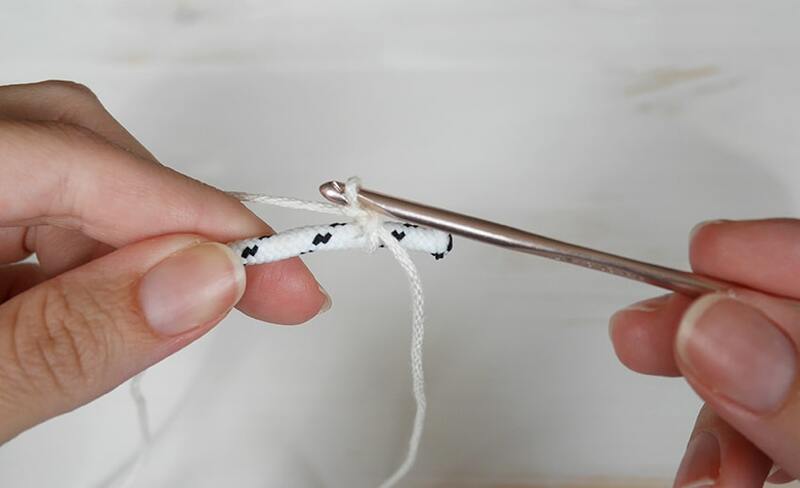 Place the hook inside the first sc stitch as you would normally do and under the rope. 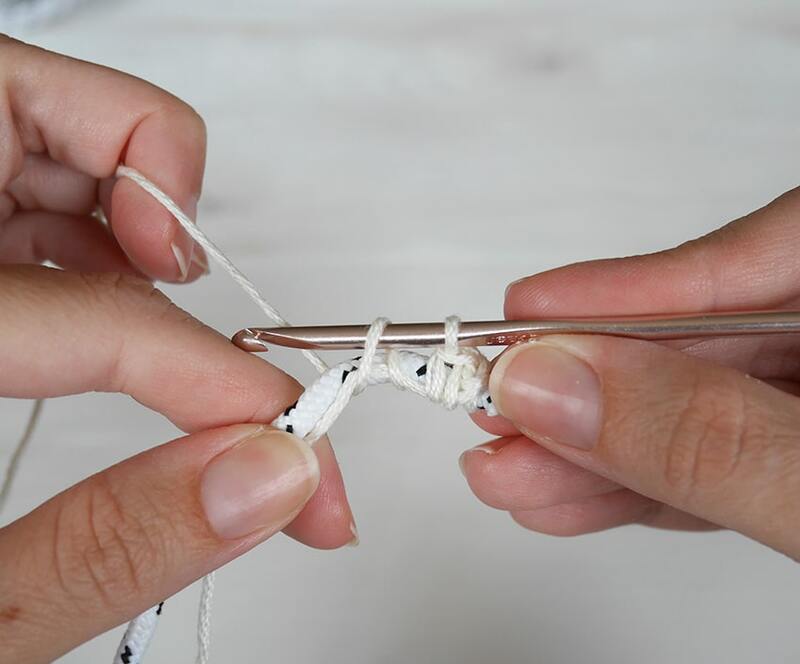 You will continue making the sc’s this way (by including the rope inside) and following the pattern below. This is the end of the second round. 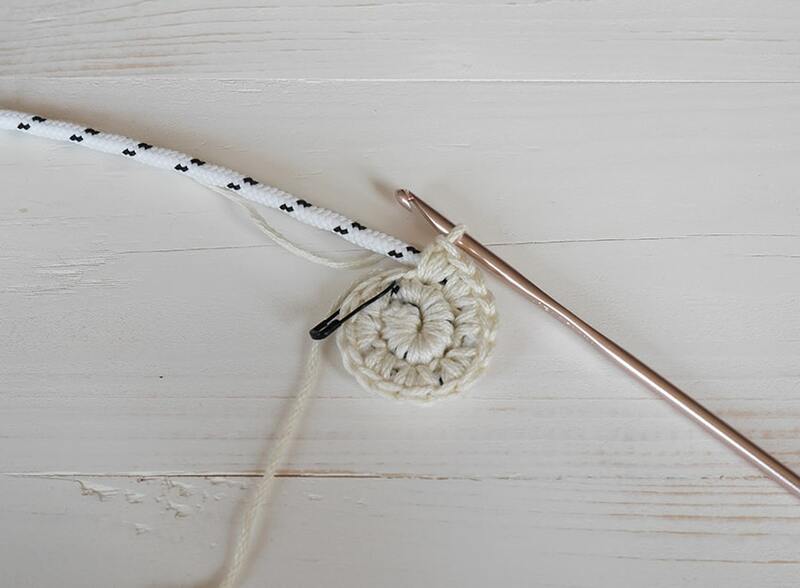 Don’t forget to add the stitch marker as we are working in a spiral. I continued increasing the stitches until my flat circle was about 6.5 inches (16 cm) wide. Feel free to make it as big as you like. R24: sc 12, only around the rope sc 10, sk 3 st(s), sc 4, only around the rope sc 8, sk 2 st(s), sc 26, cut the rope close to the last sc, sc 2 more st(s), sl st, fasten off. Cut yarn and weave in the ends. You are done! 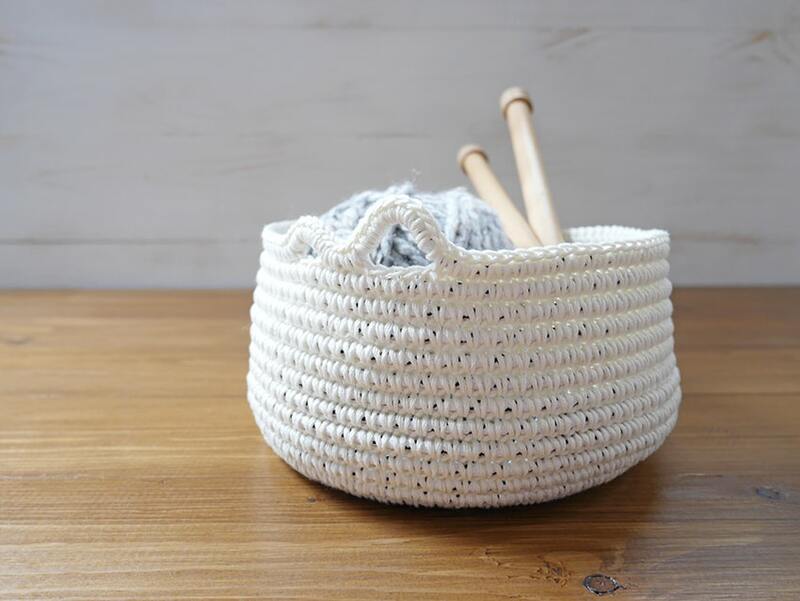 You have just created your own customizable yarn bowl. Congrats! Don’t forget to tag me on Instagram @malloo.knitwear and use the #malloomakers to show off your new project. Hello, lovely pattern, thank you for sharing! Quick question, though. At the end of Round 4, shouldn’t the final stitch count be 32, not 33? Thanks for information about how to make a flat circle.